Accurate pacing pulse identification,automatic analysis function. Manual, Auto, Examination, Storage modes. Examination can be finished rapidly under examination mode, resource saving. 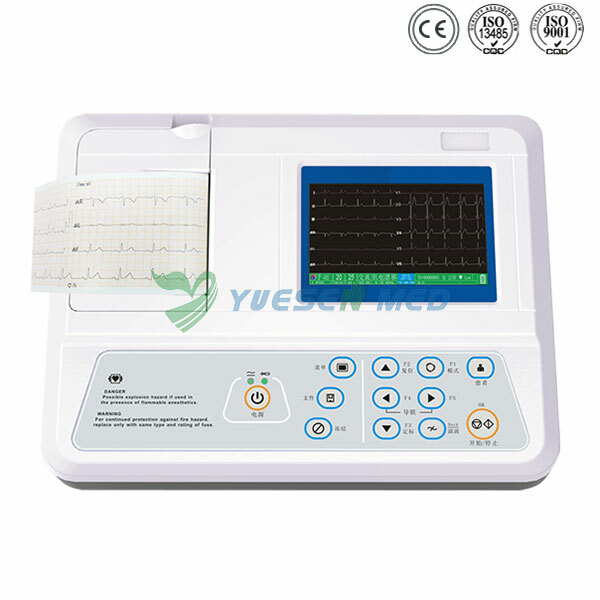 Storage and reply cardiograph without printing parameters or diagnosis under storage mode. Rapidly input patient information through keyboard. Adapt to 110-230V.50/60HZAC power supply. 12 leads waveform review and 250 patient information storage (SD card is expandable). USB and RS232 communication interface (ECG NET management software is optional). USB interface for net transmission, USB flash disk and printer is optional.